There's still time for you to have a major impact on the future of Shakespeare in Ithaca! A generous donor has offered to match every gift Ithaca Shakespeare receives, dollar for dollar, until the end of 2015. That means if you give a gift to Ithaca Shakespeare between now and the end of the year, it will go twice as far! This is an incredible opportunity that we can't afford to waste, but we need your help to take advantage of it. Please help us make the most of this generous offer! Shakespeare's history plays tell the story of nearly 100 years of turmoil and conflict as various nobles and families fight for control of the English throne. Henry V seems like an exception at first, with its celebration of Henry's heroic leadership and the symbolic unity of the country behind his quest for the crown of France. In fact, the struggle for the English throne is still going on in Henry V. It is revealed in Act 2, scene 2, that there is a plot to assassinate Henry, led by Richard, Earl of Cambridge. It's usually referred to as the Southampton Plot, because the plan was to kill Henry at Southampton before he embarked for France. 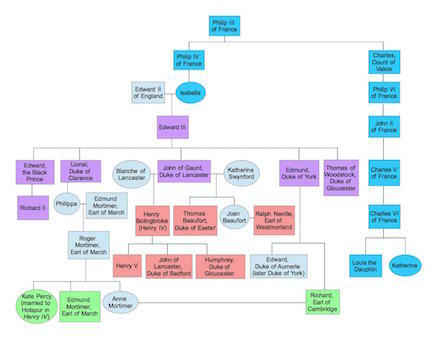 While this plot is not the focal point of Henry V, it is closely tied to people and events of great importance in both the earlier and later plays in the series. Richard had married Anne Mortimer, sister of Edmund Mortimer — in Shakespeare's plays, the same Edmund Mortimer who had been declared the official heir to Richard II before Henry Bolingbroke deposed him; the same Edmund Mortimer whose other sister, Kate Percy, was married to Hotspur in Henry IV. Hotspur's rebellion against Henry IV in that play was intended to remove Henry IV and put Mortimer — who had a more legitimate claim to be king — on the throne. The Cambridge conspiracy had the same objective: kill Henry V, son of the usurper Henry IV, and put the rightful king, Edmund Mortimer, on the throne. Richard is aided in his plot by Thomas Grey, a "knight of Northumberland," who therefore had close ties to the Earl of Northumberland, head of the Percy family that had rebelled against Henry IV. The third member of the conspiracy is Henry, Lord Scroop of Masham. Members of the Scroop family have appeared in each of the previous plays in the series: one of Richard II's favorites, the Earl of Wiltshire, was a Scroop — and was executed by Henry Bolingbroke as part of his campaign for the throne. Wiltshire's brother, Sir Stephen Scroop, brought the news of these executions to Richard II in that play. And the Archbishop of York who led one of the rebellions in Henry IV was also a Scroop — and was also executed by Henry IV. The Archbishop was, in fact, the uncle of the Henry, Lord Scroop of Masham who conspires in Henry V.
Confused yet? The important thing is not to keep every detail of these relationships straight, but to understand that the participants' families had a long history of opposition to Henry IV, plenty of reasons to be angry with him, and viewed him (and his son, Henry V) as a usurper. Their overall objective was therefore to place Edmund Mortimer, whom they regarded as the rightful king, on the throne. Even more important is the way this conspiracy will rear its head again in the next plays in the series. The son of Richard, Earl of Cambridge, is Richard, Duke of York, a major character in the Henry VI plays. This Richard, Duke of York, takes up the Mortimer claim to the throne and goes to war against Henry V's son, Henry VI. Their civil wars — the Wars of the Roses — will tear England (and their own families) apart. And that, in turn, will pave the way for one of the sons of Richard, Duke of York to make a power grab of his own...becoming one of the most fascinating villains in all of literature as King Richard III. But let's not get too far ahead of ourselves. 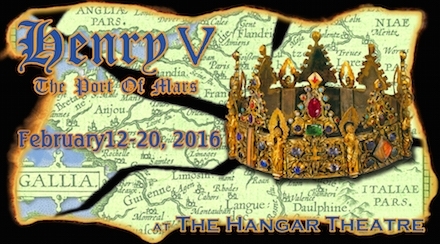 The next show in the series is Henry V, coming up in February at the Hangar Theatre! Looking for a great holiday gift? How about tickets to Henry V? Happy Holidays from the Ithaca Shakespeare Company!